A timer, so you can beat your own or your friend's fastest time. Keyboard support, so you can type the number of the card you want to turn over instead of clicking it. 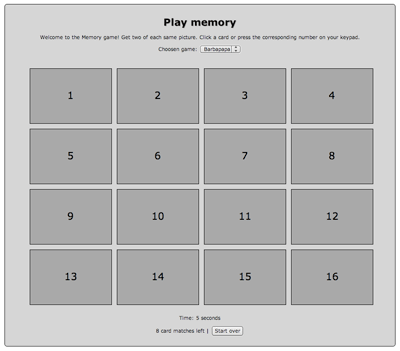 Download the latest version of Memory, and install it.